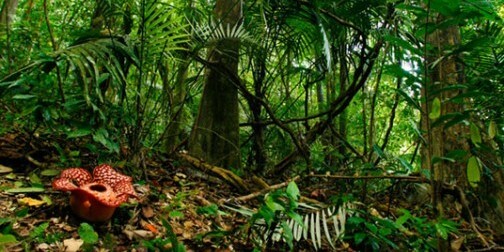 Malaysia abounds with many lush national parks and nature reserves. 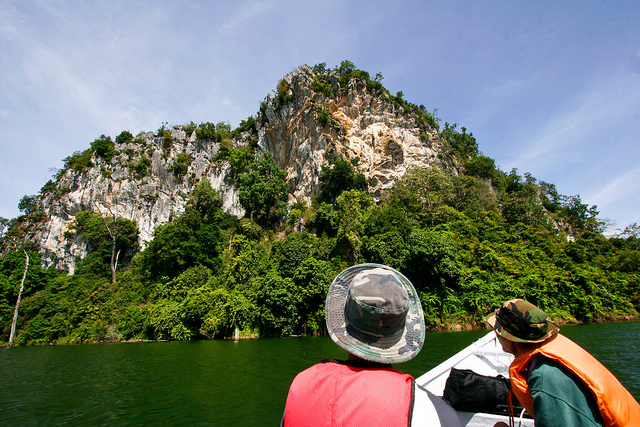 One such protected enclave is the Royal Belum State Park situated in the northernmost part of the state of Perak. The park is a part of the Belum-Temengor Forest Complex (BTFC) and is administered by the Perak State Parks Corporation. The Royal Belum State Park along with the Taman Negara National Park is home to one of the oldest rain forests terrains in the world, which dates back more than 130 million years. The park is composed largely of pristine tropical rainforests and hosts many river systems and various small grassland areas. The rainforests found within the park area include lowland dipterocarp forests, hill dipterocarp forests and lower montane forests. The Royal Belum State Park provides an ideal habitat for several native species of mammals, like the seladang, the Asian elephant, the Malayan tiger, the Sumatran rhinoceros, the Malaysian sun bear, tapirs and others. The park is also the only forested area in Malaysia, which is home to all ten species of the Malaysian hornbill including the plain-pouched hornbill. Also found onsite at the park, are many forms of native flora including three species of Rafflesia. Lake Temenggor, a man-made lake, which is the second largest lake in Malaysia is located within the park and is primarily used for water catchment. The lake plays host to various species of fresh water fish like Toman, Kelah, Tenggalan, Baung and is thus a favored destination with avid anglers. Aside from fishing, the park offers various other recreational activities like river cruises and jungle treks to scenic spots like the Pulau Tujuh waterfalls, the Sira Gajah salt licks, a prime wildlife spotting area, the Pulau Talikail lookout Tower which affords great views, the Temenggor Dam and Kampung Chuweh(a true-blue Orang Asli village). If you really want to explore the park in its entirety and enjoy its abundance of natural attractions, you can a opt to stay for a few days at the many resorts located within the park. The majority of resorts within the Royal Belum State Park are located on the banks of Temenggor and include properties like the Belum Rainforest Resort, the Belum Eco Resort and the Banding Lake Side Inn. The Royal Belum State park is easily accessible by bus, train or private rental car from Ipoh city and is definitely a recommended attraction especially if you can’t make it to Taman Negara National Park on your Malaysian sojourn.